Expert Heating and Cooling, Inc., was founded in 1975 on the principals of quality, integrity and service. Bob Maharas and George Burns carried on that tradition until 1998, when Mark Angellotti purchased the business from Maharas following Burns retirement. Angellotti was well aware of the growth potential having previously served as the Territory Manager for Carrier Great Lakes, Expert’s primary material supplier. Starting in a 2,400 square foot shop in Downtown Trenton, moving to a 4,200 square foot shop in Woodhaven while our newest building on Northline just west of Telegraph weighs in at a hefty 21,500 square feet. The result of these moves; business has expanded to serve a wider variety of HVAC needs across the Metro Detroit area. The company has transitions in the last 15 years from 99% residential replacement and service, to a mix of 55-60% commercial installation and service. A heavy concentration of customers remain Downriver, but the company performs installation and service in Wayne, Oakland, Macomb, Washtenaw and Monroe counties. Roughly 50 employees provide emergency troubleshooting, repairs, preventive maintenance, equipment installations as well as design build and plan and spec services. From your first contact to the completion of your service call or installation we communicate well. 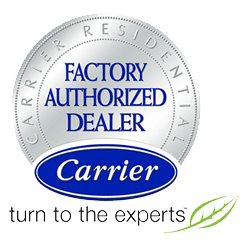 Whether you are interested in designing a new residential or commercial system, having a furnace or air conditioner replaced, or having an existing system serviced you can plan on speaking with a knowledgeable person. While a number of the installation and service functions we provide are similar and repetitive, you won't find any cookie cutter answers here. We break down the particulars of each project and devise a plan to satisfy your individual needs. Even though we do this every day we realize that our customers do not. Some customers want step by step involvement, other ask to let them know when we are done. We find adapting to the customer as important as adapting to the unique installation parameters of each job.